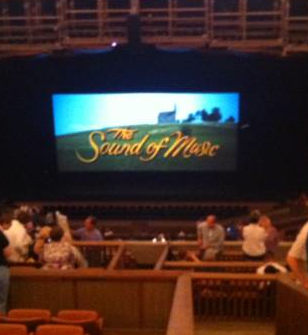 Wolf Trap Sound of Music Sing-A-Long ~ Learn, Live, and Explore! 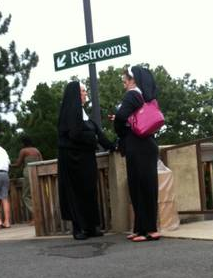 Seriously, who doesn't love the Sound of Music? 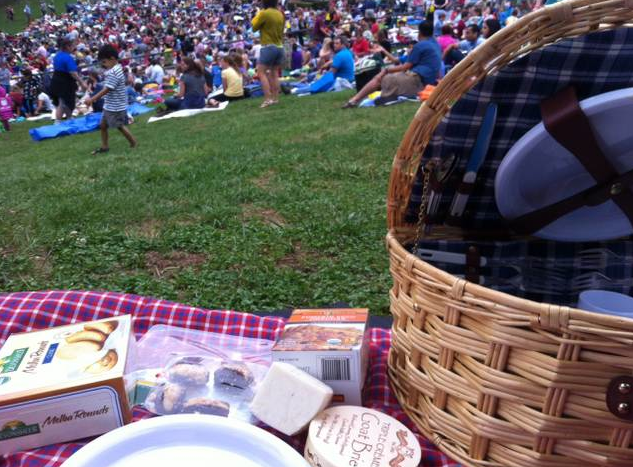 And how great is it that there's an event that caters to Sound of Music lovers hosted by Washington D.C.'s best outdoor venue that also allows you to bring a picnic of amazing food and wine! Tonight was shared at Wolf Trap with people of all ages, some dressed up in homemade costumes, who just love to enjoy a classic movie in the fresh air. My friend and I are seasoned Wolf Trap attendees, so we knew how exactly to plan for the night. The key to Wolf Trap is to expect rain and be pleasantly surprised when it stays dry. I can only count maybe one or two times that I have gone when there has not been rain or thunderstorms in the forecast. So we went ahead and forked over the extra $10 to get the covered loge seating. But that didn't mean we couldn't enjoy a picnic on the lawn. Arriving at least an hour early, we set of our stash of goodies on our blanket and enjoyed some yummy cheese, stuffed dates, and petit fours for dessert - paired with a chilled crisp pinot grigio, of course! 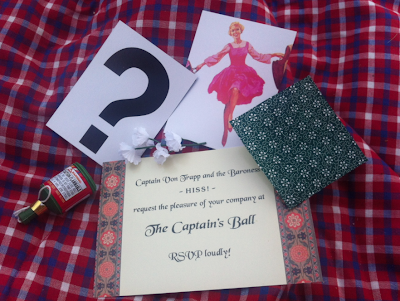 When we went through the entrance of Wolf Trap, we were given a goodie bag with our props for the evening. Before the movie began, we were instructed on how and when to use the props, plus additional times when we were expected to make specific sound effects. For any Nazi, we were told to "boo." For the Baroness, we were expected to hiss at her - obviously because she was coming between the Captain and Maria! And for Rolfe, this was a little confusing because we were told to bark like a dog, like Rolfe the Muppet, but then again he became a Nazi, so do we bark or boo? Anyway, the instructions were much clearer for the props.